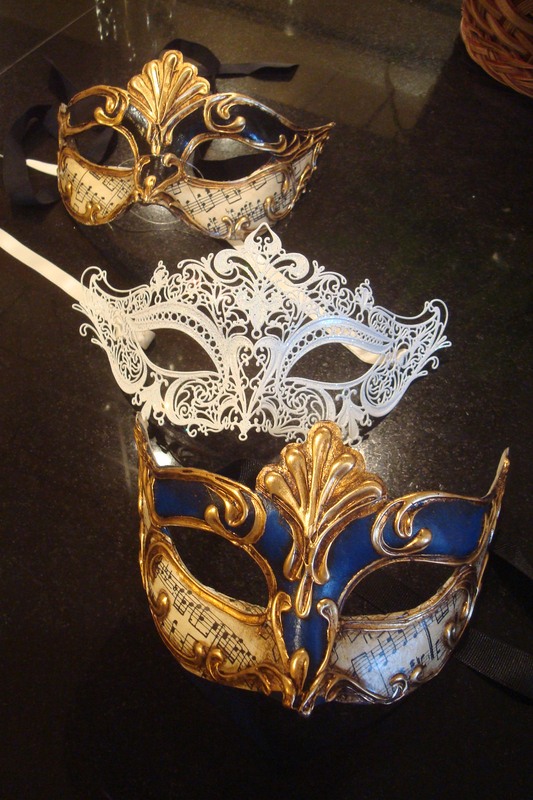 Our masks for the masquerade ball. Be sure to take your own. Our son was in Venice a month before the voyage and picked these up for us. 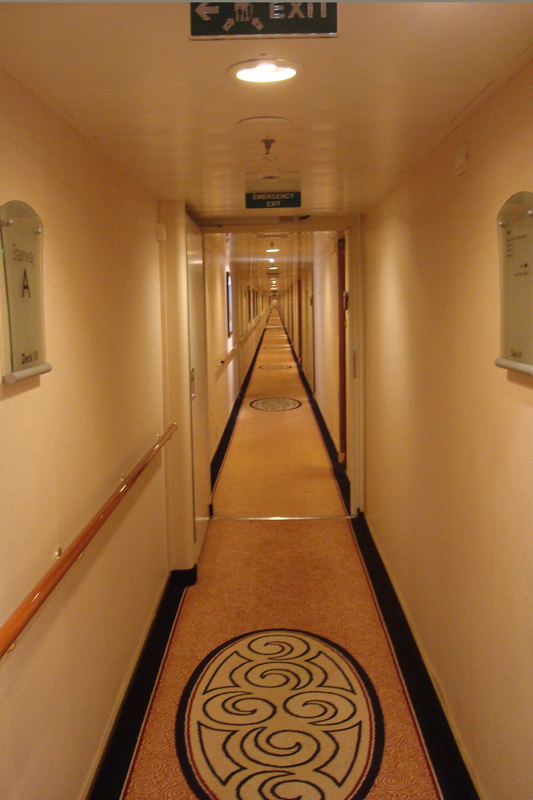 We weren’t supposed to set foot on a ship this summer – but let’s just say the timing worked out impeccably and there we were in late July, stepping onto the gangway of the Queen Mary 2 for one of her classic transatlantic voyages. 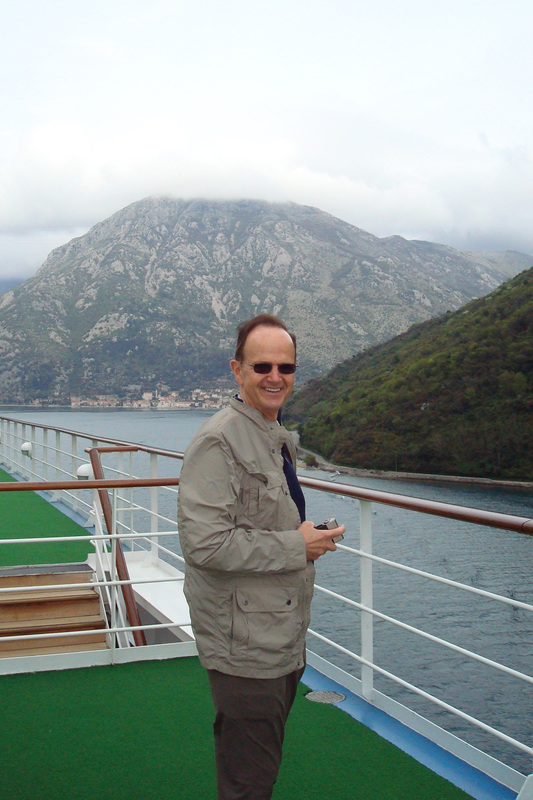 As I counted on my fingers, it occurred to me that this was our tenth cruise on a total of six different cruise lines. Six! I think that makes us credible commentators on the comparative experiences. What I really hate is those Readers’ Choice lists each year in the travel magazines, several of which I otherwise find useful and informative. 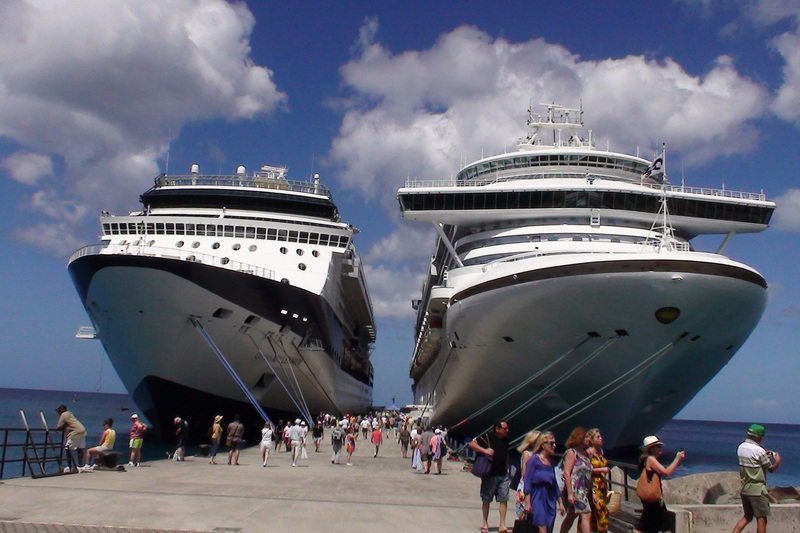 Readers vote on their favorite cruise line for example and there is no way of knowing if they have ever traveled on any other to be able to make such a statement via their voting. After our first cruise many years ago (on Carnival) we would have said it was our favorite. Today, we have so much more experience and wouldn’t be caught dead on Carnival. 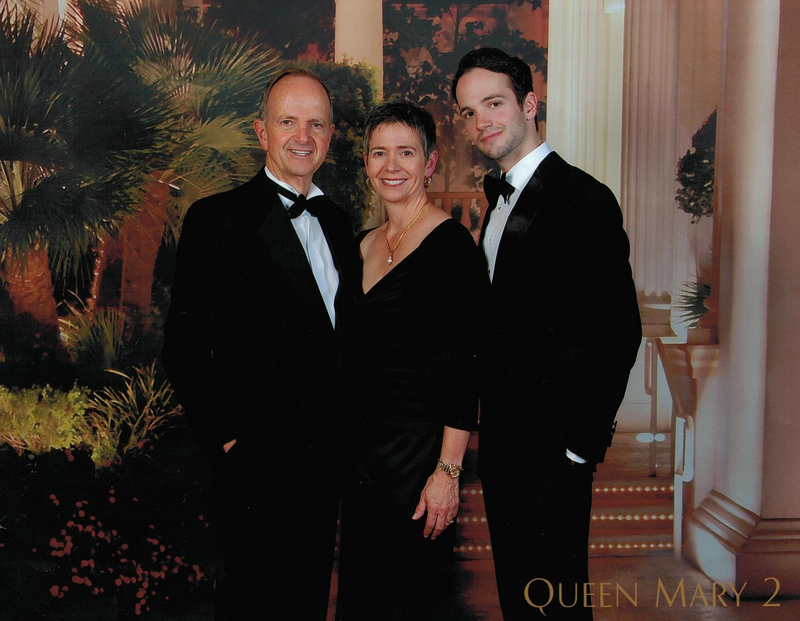 So, back to the Queen Mary 2. Decorated in tastefully elegant art deco style (my personal favorite), she is a true ocean-going beauty. We’re told that she was the first purpose-built ocean liner (in contrast to a cruise ship) that had been built in 50 years. That means that she’s built for the North Atlantic crossing rather than for fun-in-the-sun stuff. The décor, inside and out, is understated, just the way we like it, with a few eye-popping wall murals and scads of wonderful artwork and photographs of the storied history of Cunard Line. The hall outside our suite. In an attempt to recreate the trans-Atlantic crossings of yesteryear, Cunard has done its best on this seven-day voyage from Southampton to New York to evoke the time of the great sailings. To that end, the entertainment is refined and relatively low key. There are, however, four formal (read black-tie formal) and one informal (read cocktail dresses) on this voyage, unusual for such a short time but reminiscent of what it was like in bygone years. So, if you do not like to get dressed up, find another ship to take you where you want to go. Those of us who chose the experience just as it was sold do not want you there! The truth is that there were very few people who did not dress up as “required”, but there were evening venues for those who chose more casual approaches to dining – they were not, however, allowed in the dining rooms and had to pay a surcharge to be served in the casual dining space. 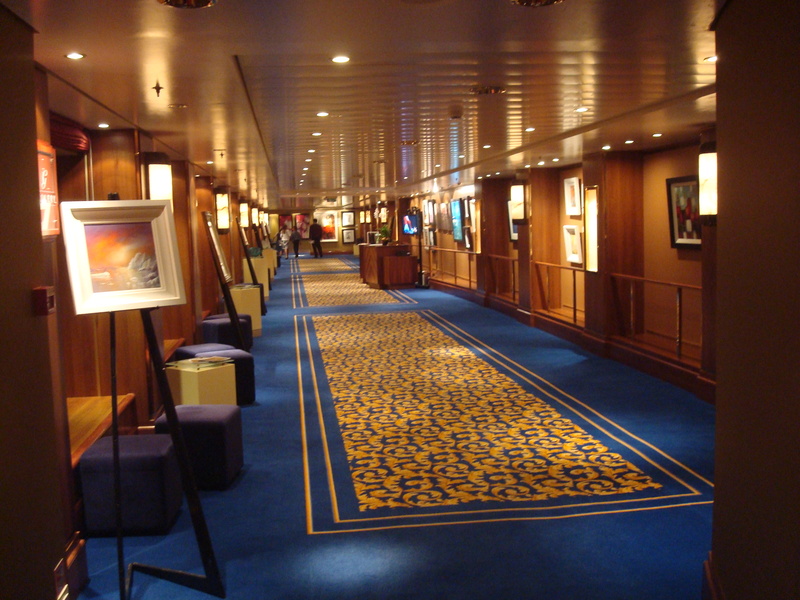 They have the Britannia class with its large (and truly beautiful) dining room with traditional two-seating dining. There is also an option in Britannia to have a more open dining experience (for a price) and this is called Britannia Club. The accommodations are the same, the dining is different. If you choose to travel in what I would call a small suite, you will choose Princess Grill accommodations and will dine in the Princess Grill. 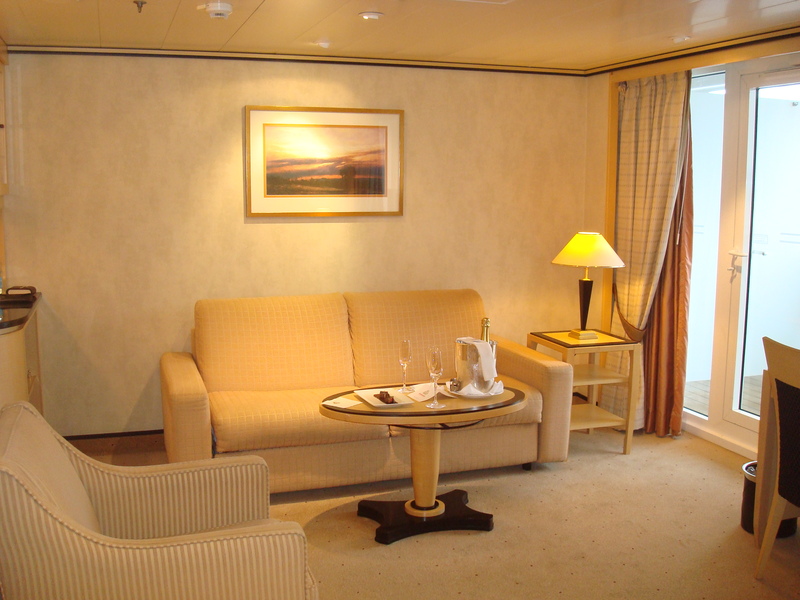 Much smaller and more intimate than Britannia, the Princess Grill provides you with a table to which you can go any time the dining room is open (breakfast, lunch & diner): it is always yours. 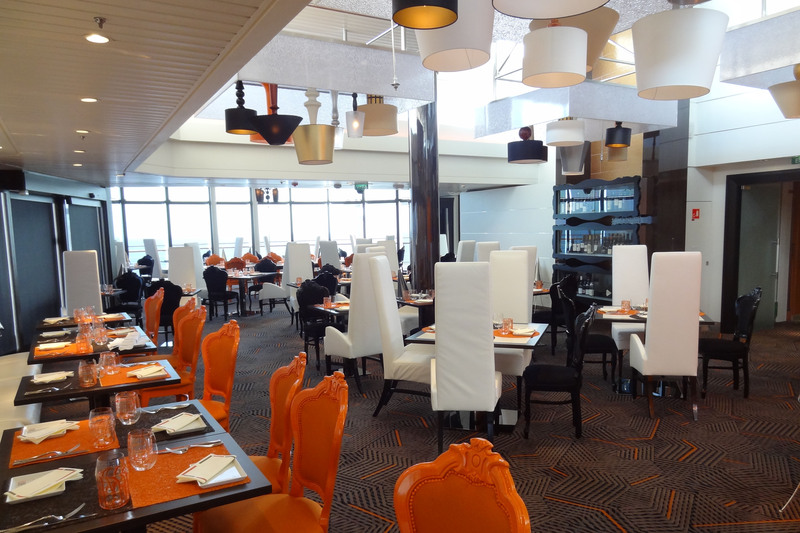 If you choose the larger suite accommodation, you will choose Queen’s Grill and you will dine in the Queen’s Grill (same table arrangement as the Princess Grill). This is what we chose. So any comments I make from here on in are related to being in what others might call first-class. 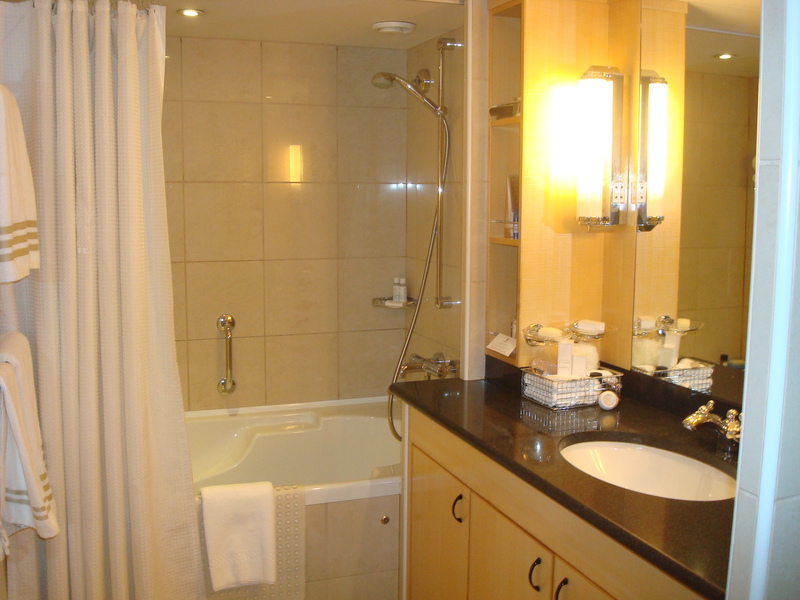 The suite was beautiful as the photos show. The service was impeccable. The experience was divine. 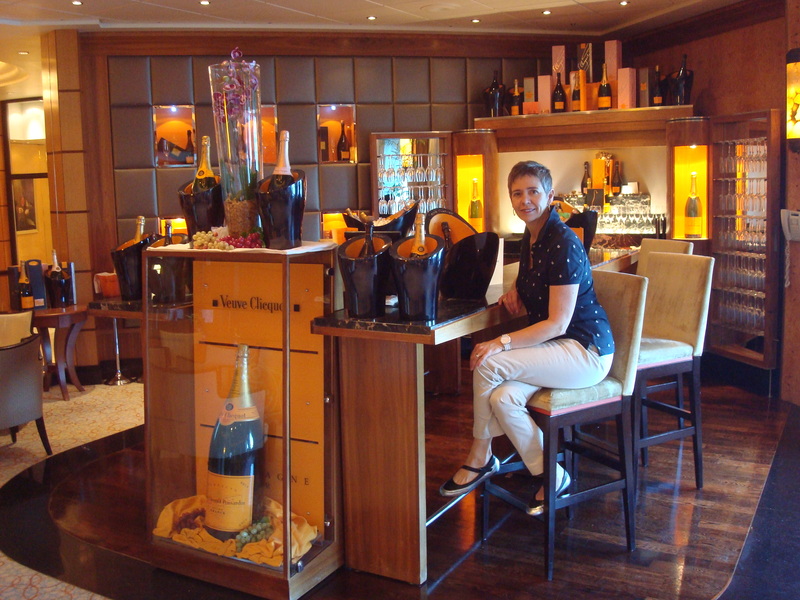 We will go on Cunard again – when the itinerary is right.